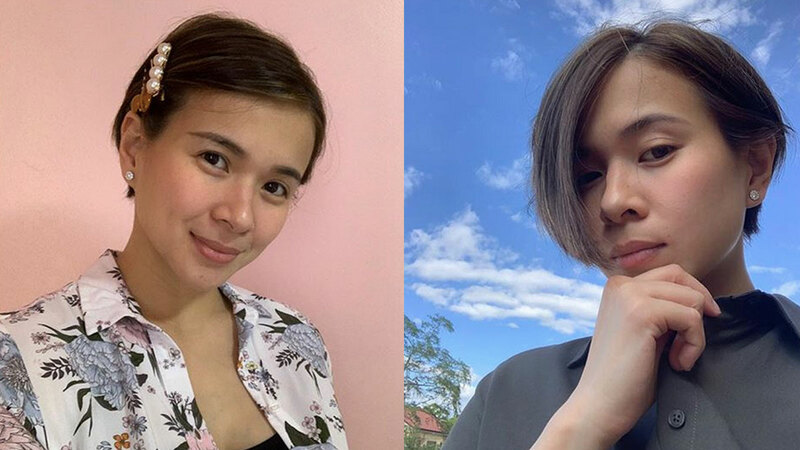 LJ Reyes finds ways to make her "me time" more efficient, thus, giving her more "mommy time" with Aki and Summer. LJ Reyes is currently on "minsan nanay, minsan artista" mode, and relishes every minute of it. Though "pag-aayos," she says, has become a daily "struggle," she's not complaining at all. But looking pretty or getting dolled up should not make mommies feel any "mom guilt." Motherhood is also not an excuse to neglect self-care. "Parang you just learn to live with it dahil importante rin naman yun para buo tayo at masaya," she said in her Instagram post. But LJ doesn't mind sacrificing her "me time" for more "mommy time" with her kids Aki and Summer. The Kapuso actress continued, "...sobrang nageenjoy ako na hands on ako kay Summer ngayon. "Bilis kasi ng oras! At sa totoo lang, I would always give up 'me time' para kay Summer at Aki. "I would give up anything for them!" In February, a month after giving birth, LJ let go of her long hair, and tried the "conveniently wash and wear" hairstyle for the first time. The reason: Her schooling kid and a newborn.